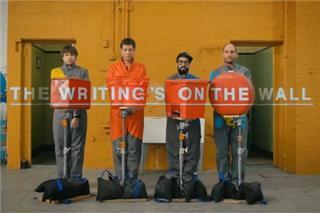 POST | Is OK Go Over? 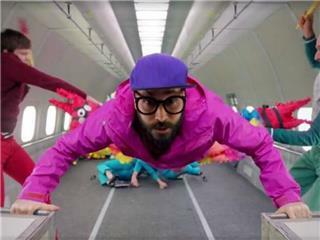 POST | OK Go Convert Music Into DNA. It's Still Bad. OK Go is an American alternative rock band originally from Chicago, Illinois, but now residing in Los Angeles, California. 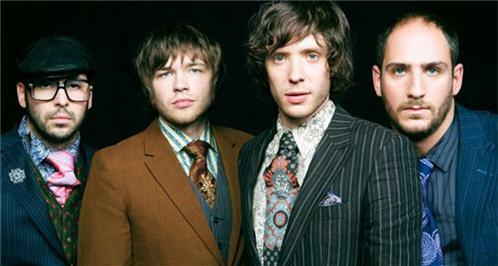 The band is composed of Damian Kulash (lead vocals, guitar), Tim Nordwind (bass guitar and vocals), Dan Konopka (drums and percussion) and Andy Ross (guitar, keyboards and vocals), who joined them in 2005, replacing Andy Duncan. They are known for their often elaborate and quirky music videos. 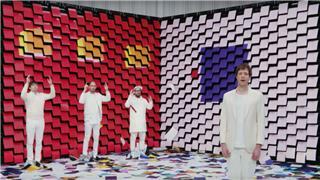 The original members formed as OK Go in 1998 and released two studio albums before Duncan's departure. The band's video for "Here It Goes Again" won a Grammy Award for "Best Short-Form Music Video" in 2007. The band released their debut album, "OK Go," on September 17, 2002, after it was pushed back by the label from its original June release date. The album was recorded at the Capitol Studios in Los Angeles, and though the original plan was to do minor tweaks to the original demos, they ended up rerecording everything and adding five new songs, including the first single "Get Over It," which later appeared in EA Sports Triple Play Baseball and Madden NFL 2003 games. To promote the release, the label sent out out miniature ping pong tables to press outlets, a reference to the "Get Over It" video directed by Francis Lawrence. 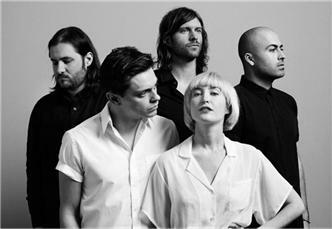 In support of the album, the band toured with a a diverse group of acts including The Vines, Phantom Planet, Superdrag, The Donnas, Fountains of Wayne, and Mew., and played a number of festival shows including Leeds in 2002 and 2003, and NoisePop, Reading, Leeds, Witnness, and T in the Park in 2003. The band's second album, Oh No, was recorded in Malm, Sweden in the fall of 2004 and was produced by Tore Johansson (The Cardigans,Franz Ferdinand) and mixed by Dave Sardy (Nine Inch Nails, Jet, System of a Down). 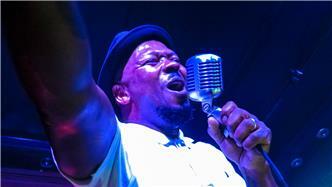 After recording, in 2005, Andy Duncan left the band and was replaced by Andy Ross, who auditioned for them in Los Angeles. The album was released in August 2005. 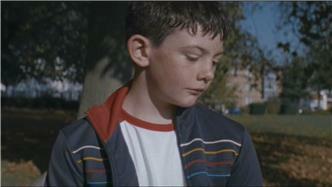 Oh No gained popularity for its first single, "A Million Ways", in 2005. 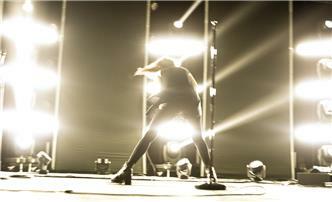 The video featured the band in their back yard performing a dance choreographed by lead singer Kulash's sister, Trish Sie. By August 2006, the video had become the most downloaded music video ever with over 9 million downloads.